US President Donald Trump on Thursday unveiled a plan that envisages developing space-based sensors to detect incoming enemy missiles and exploring space-based weapons to shoot down missiles before they can threaten US soil. Russia said on Friday the new US missile defence strategy would unleash a dangerous arms race in space and amounts to a relaunch of the Cold War-era "Star Wars" programme. Instead, the ministry called on Washington to think again, backtrack from its plans and engage in talks with Moscow to find agreement on how to manage the world's nuclear missile arsenal. "The strategy, de facto, gives the green light to the prospect of basing missile strike capabilities in space," the statement said. "The implementation of these ideas will inevitably lead to the start of an arms race in space, which will have the most negative consequences for international security and stability," it said. "We would like to call on the US administration to think again and walk away from this irresponsible attempt to re-launch, on a new and more high-tech basis, the still-remembered Reagan-era 'Star Wars' program." President Vladimir Putin's approval rating, while still high, has fallen from its peak in 2014, in part because of unhappiness about living standards and a drop in household incomes. The revamped US missile strategy cited concerns about the burgeoning capabilities of Iran, Russia, China and North Korea and said this required a review of US capability. It marked a departure from the approach taken by Trump's predecessor, Barack Obama, to tamp down concerns among other major nuclear powers about expanding US missile defences. Even before the new US strategy was unveiled, Moscow and Washington were at loggerheads over missile defence. 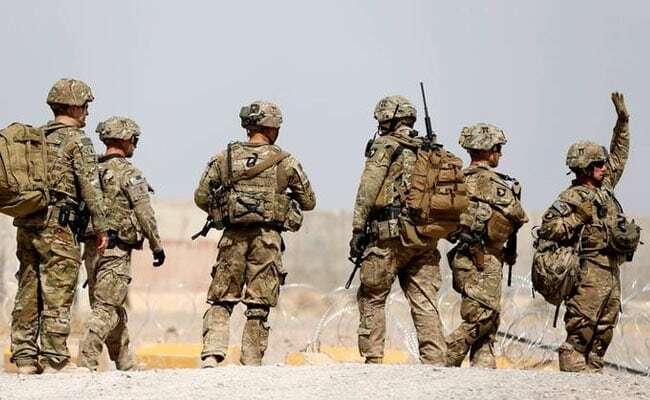 In its statement about the new US strategy, the Foreign Ministry said: "It is openly confrontational in character, and once again demonstrates that Washington is trying to secure for itself unrivalled military supremacy in the world." "We call on the US administration to display political will and, once and for all, engage in a joint search for ways to resolve the problems that have built up in the strategic field, before it's too late," the statement said. In March last year, Putin announced that work was underway on an array of new Russian weapons which he said could hit almost any point in the world and evade US missile defences. Defending his stance, Putin said he was not trying to trigger a new arms race but rather to stop that from happening. By developing weapons capable of evading US defences, Putin said, he was showing US officials it was futile for them to beef up their own nuclear missile capability.